Assisting O2’s build partner with the temporary erection of telecommunication masts to improve mobile coverage during UK special events. Blue Clarity has helped a leading build partner provide O2 with temporary network coverage for landmark events including The University Boat Race, Epsom Derby, V Festival and Special Events at Wembley Stadium. We as mobile users often take for granted what is actually involved in ensuring that we can share that picture on Instagram or upload that video to Snapchat midst concerts or national sporting events. However, Blue Clarity’s survey and design team understand first-hand what is required in the lead up to a special event where hundreds of thousands of spectators are guaranteed to attend and expect uninterrupted data performance and secured mobile signal. 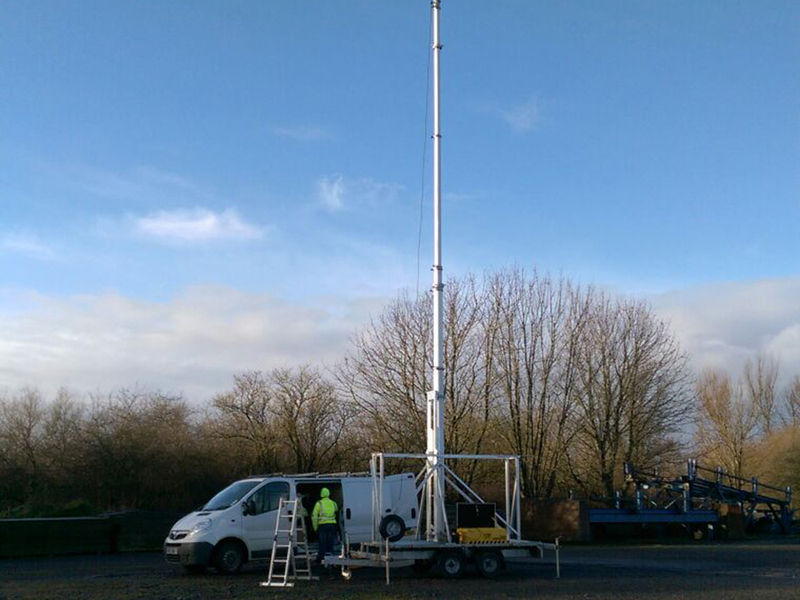 At the beginning of 2016, Blue Clarity were tasked with carrying out telecommunications surveys for the temporary mast deployment throughout the UK. We were responsible for determining where to place temporary dishes in existing sites which were in close proximity to each particular event. Using a pump up mast, we also carried out Pans (panoramic surveys) and LOS (line of sight surveys) to other sites using state of the art technology and, in doing so, Blue Clarity were able to help O2’s build partner eradicate coverage gaps and ensure that event goers could share their special experiences in real time via their mobile devices.